The absorbent layer of cloth baby diapers, sometimes called a soaker, can take several different forms and can be made from several different types of fabrics to meet your specific needs. Please note that the term soaker can refer to the absorbent layer of cloth baby diapers, and it can also refer to wool or polar fleece diaper covers. On this page, when I use the word soaker, I'm referring to the absorbent layer of a cloth diaper and not wool or polar fleece diaper covers. Some types of cloth baby diapers, such as all in one cloth diapers come with the absorbent layer already sewn into the diaper. If you buy this type of diaper, you don't have to worry about buying the absorbent layer separately. However, many types of cloth diapers for your baby are made with a separate, waterproof layer (the diaper cover) and an absorbent layer (the soaker), and you can often buy your diaper covers and soakers separately and mix and match to meet your needs. It's helpful to know a bit about the soaker options that are available to you, and which ones work in different situations, in order to make smart decisions when purchasing cloth diapers. Prefold diapers consist of several layers of fabric sewn together to create an absorbent layer. They are rectangular in shape and can be folded in several different ways depending on your needs. Prefold diapers may be used with standard diaper wrap style covers or they can be used to stuff pocket style diaper covers. Prefolds can be trickier to use with pull up style diaper covers because the pull up covers don't do a good job of holding the prefold diaper in place. If you do use prefolds with pull up diaper covers, you'll need to secure the prefold with pins or a snappi. Flat fold diapers are the original style of cloth diaper. They consist of a single layer of fabric, and are thinner, but also less absorbent than prefolds. They must also be used in combination with a diaper cover. Fitted cloth baby diapers are shaped just like disposable diapers, so there is no need to fold them. Fitted diapers refer to the absorbent (soaker) layer, only, so you will also need to use a diaper cover (the waterproof layer) with your fitted diapers. 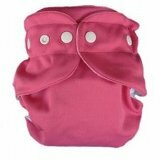 Contour diapers are similar to fitted diapers in that they are an absorbent layer that is shaped in a way that does not require folding. Contour diapers are generally smaller (more narrow) than fitted diapers and also must be used in conjunction with a diaper cover. Cotton diapers are the most common type of cloth diapers. Cotton is relatively inexpensive and absorbent and comes in a variety of types to meet different needs. If you plan to use organic cloth diapers you will have several fabrics and diaper styles to choose from. While organic cotton diapers may be the first diaper fabric that comes to mind, you may also choose from hemp diapers, bamboo diapers or organic wool diaper covers if you want to go organic. 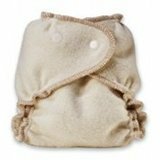 Hemp diapers can be an excellent cloth diapering option. They carry a number of benefits: hemp is mildew resistant, naturally anti-microbial and extremely absorbent, which makes it a good choice for heavy wetters or overnight use. Terry diapers are absorbent, soft, durable and affordable. 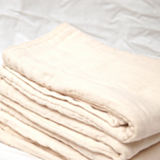 Terry cloth comes in serveral forms which is used in several brands of cloth diapers. Chinese prefold cloth diapers are a specific type of prefold diaper that are made in China. Chinese prefolds are prized by some cloth diapering parents for the durability of the fabric. There are a few brands that offer preemie cloth diapers and preemie diaper covers. If you want to use prefold cloth baby diapers, you'll have several brands to choose from. If you want to use a different type of cloth diapering system, there are fewer options, but there are all in one, all in two, fitted and pocket diapers in preemie sizes on the market. If you're looking for newborn cloth diapers, these simple tips will help you to choose the right cloth diapering system for your needs. If you have a heavy wetter who doesn't stay dry through the night, this information about overnight diapers and night time diapering tips may help you get a little more sleep. 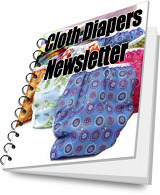 I promise to use it only to send you Cloth Diapers Newsletter.